Light Touch PLD is proud to announce that the prestigious Saadiyat Rotana Resort & Villas has recently opened its doors to the public. The Principal Lighting Designer for this project, our very own Ms. Sophia Stezenko. The Saadiyat Rotana Resort & Villas boasts a haven of abundant natural beachfront and wildlife. The one-of-a-kind, five-star property with modern Arabic architecture and regal presence, welcomes guests with effortless luxury across 327 rooms and four diverse dining options with stunning sea views. The natural, light-filled space houses unique artwork, including seven glass floor panels containing majestic sands from the seven different Emirates. The resort is home to an Emirati-inspired artwork collection, with Arabian heritage extending to the environment also. 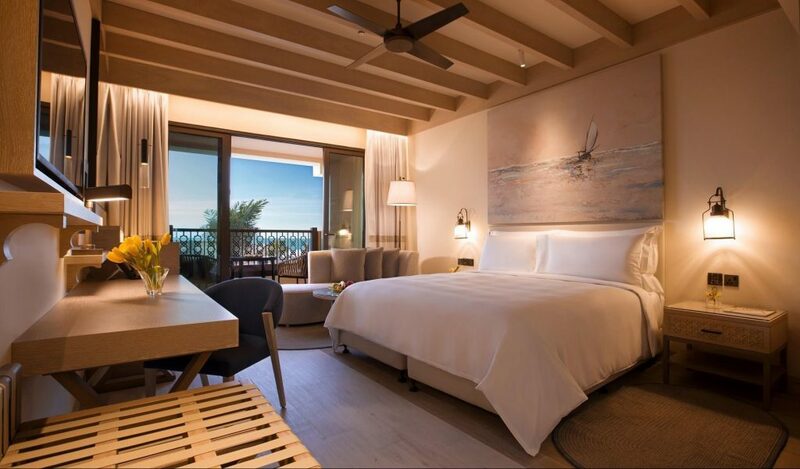 Nestled in the heart of Saadiyat Island, the hotel boasts the best of desert and beach surroundings with sightings of Hawksbill turtles, dolphins and oryxes.